Drs. 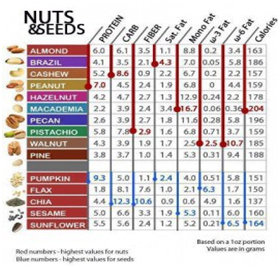 Nuts and Seeds – 100% Natural, 100% Healthy, and 100% Organic. Research shows that organic foods are higher in antioxidants and other nutrients, like omega-3 and CLA essential fatty acids. Organic crops have been shown to contain considerably fewer concentrations of cadmium—a deadly metal on par with lead and mercury. Organic nutrition/diet is really is better for you. And it tastes better too. Studies continue to prove and confirm the findings—organic food is more nutritious! With more than 3 decades in the field, Healthcare International is now poised to give the best of healthy products delivered directly to your homes. Why wait? Because your health demands your immediate attention, try our tasty, munchy and naturally healthy products dished out for the busy bees. Drs. 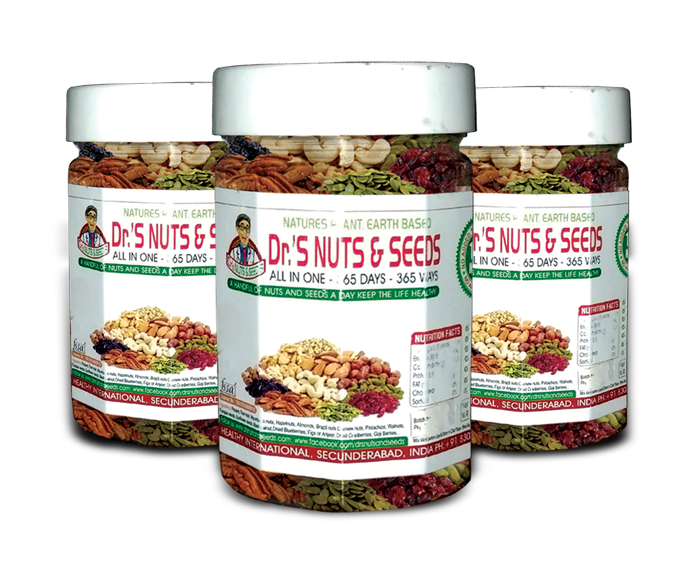 Nuts and Seeds is a unique mixture of healthy option which you can gift for yourself or your dear ones. Make it part of your daily routine and see the results for yourself. Cashew nuts – Reduces gallstones & give pleasant sleep. Pumpkin seeds – Reduces Bone weakness. Black walnut – Good for skin & reduces excess sweating. Musk Melon seeds – Controls diabetes & manages hypertension.